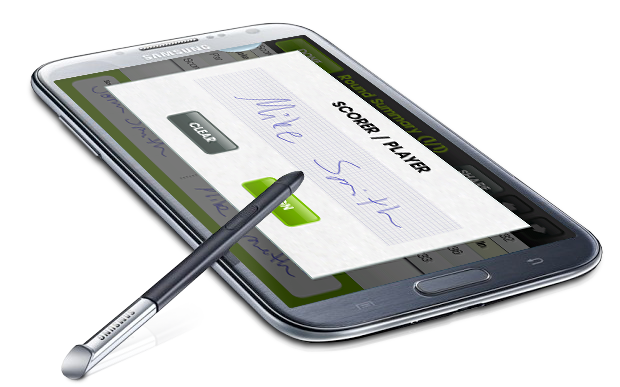 We developed the World’s First Digital Golf Scorecard enabling official signing in close collaboration with Samsung. Looks good isn’t it? Hi Guys! You have read Samsung Galaxy Note II’s ads’ tagline “The Next Big Thing Is Here” and “Be Creative”? Well, guess what? We did and now on the same is true in golf too – the next big thing really is here! Yesterday we were finally ready to publish one of our coolest new features, which is the result of our fruitful collaboration with Samsung. We launched the World’s first digital golf scorecard enabling official signing. 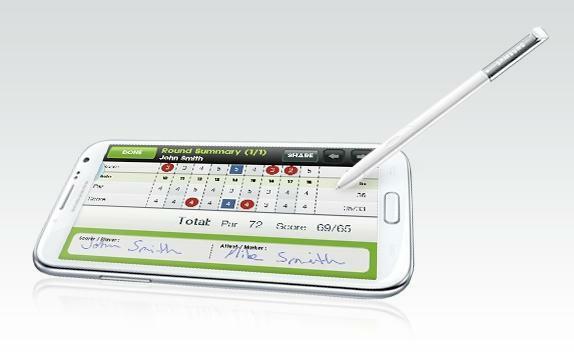 The Golf GameBook app utilizes the new functionalities of the Galaxy Note II’s S Pen that very precise – similar to an actual pen! What are the advantages of this digital signing option? An electronic scorecard can now be signed in the same manner as the traditional paper scorecard, which can make it compatible with the official rules of golf. This is something unforeseen within the game of golf and opens many new possibilities. We have a good reason to call this a revolutionary feature. The view of pop-up window that comes automatically when you want to sign your digital scorecard. S Suggest lets you discover apps directly from a live widget on the home screen. Instead of spending lots of time sorting through thousands of apps in the Google Play Store, Samsung has selected the apps that are right for you and your device. You can also discover apps that friends are using with Facebook integration. The apps we select for Samsung S Suggest must be developed to make people’s lives easier in a simple, fun and convenient way. Golf GameBook ticked all the boxes. We believe the app has great potential as keen golfers will notice that it enhances a round of golf by adding a whole new dimension to the experience. GameBook’s founders Kalle & Mane with Galaxy Note phone and GameBook’s latest award as The Best Innovative Entertainment Service.